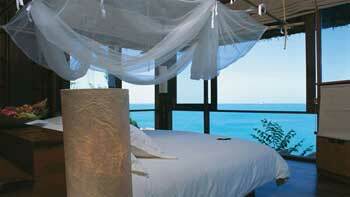 Sila Evason Hideaway Resort and Spa Samui is an exclusive resort located on the northern tip of Koh Samui Island. 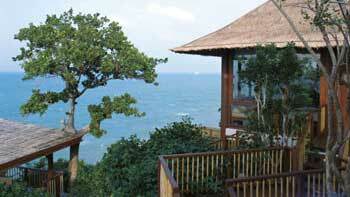 The resort boasts stunning views of the surrounding sea and outlying islands. Generally all villas are located amongst natural vegetation which gives you the best privacy for your vacation combined with magnificient panoramas. The villas in this fine resort have an open style bathroom which generates a feeling of space and light in the room itself. Views of the surrounding seas and islands are maintained from almost every location in the villa.